Dragon’s Luck is a Chinese themed game from Red Tiger Gaming, the developer’s studio based in the Isle of Man. If you have played other games by Red Tiger then you will probably recognise some of the same features here. 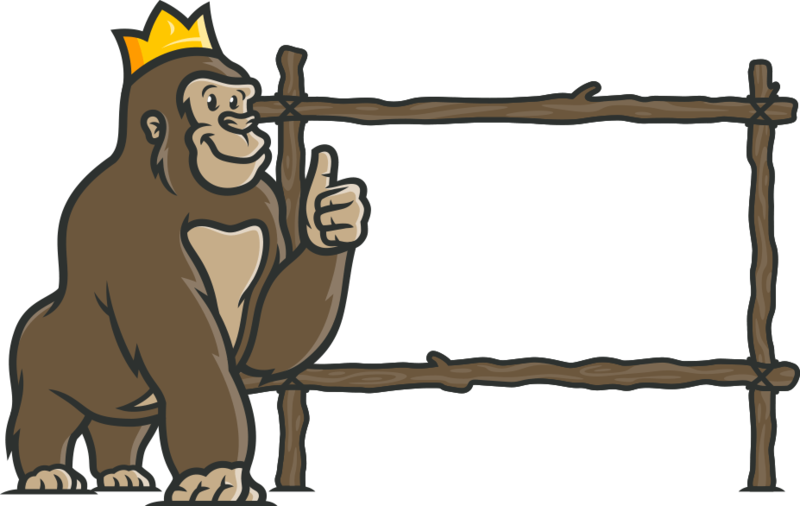 The Casino Gorilla certainly didn’t find anything particularly new or different about this game, but it still has enough features to make it interesting. Of course China has long been a popular source of inspiration for slot games, motivated by the enormous Asian community of online slot gamers. Let’s see if the Casino Gorilla found enough of interest here to make this game stand out from the crowd. Dragon’s Luck is a Chinese themed game from Red Tiger Gaming, the developer’s studio based in the Isle of Man. If you have played other games by Red Tiger then you will probably recognize some of the same features here. The Casino Gorilla certainly didn’t find anything particularly new or different about this game, but it still has enough features to make it interesting. Of course China has long been a popular source of inspiration for slot games, motivated by the enormous Asian community of online slot gamers. 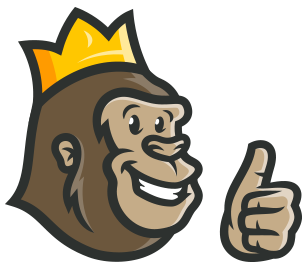 Let’s see if the Casino Gorilla found enough of interest here to make this game stand out from the crowd. If you have played an Oriental themed slot game before then you will know the kind of imagery to expect here. The traditional Chinese soundtrack adds to the overall ambience of the game. Dragon’s Luck is similar to other slots from Red Tiger Gaming in terms of the game’s mechanics. There are some nice little additional features here which add an element of novelty – at least to those who are unfamiliar with other Red Tiger Gaming slots. You will be able to play Dragon’s Luck for as little as 10 cents per spin, going all the way up to €100. You can choose to spin manually or else select the Auto option. This allows you to spin automatically between 10 and 100 times. There is also the option to stop the Auto spin function should you hit a predetermined limit of losses or wins, or should you trigger the bonus game or hit the jackpot. If you are the impatient type, then select the Turbo option to make those spins go even faster. You can pause the Autoplay function any time you want simply by hitting the Stop button. The symbols used here all take on the characteristic appearance of traditional Chinese characters. So the playing card 10 to A symbols are written in a Chinese font. The four high value symbols are the lotus, golden carp, doll and a coin with 138 written on it. This represents the maximum 1380 times your stake that can be won if you find five of these on a payline. There are only ten pay lines in total, but wins are still frequent because you can match three symbols from right to left, left to right or in the centre of the reels. Pay attention to those dragon statues either side of the reels as well. They may look like they are only for decoration, but in fact these dragons can breathe fire after a winning spin to boost your profits. First the bad news: there are no free spin rounds available from Dragon’s Luck, and no special bonus games either. Now this is going to be enough for some players to simply move on and find a different slot game. The Casino Gorilla certainly loves his bonus games, and the absence of one here is certainly a downer. This means that the special features of this slot all appear in the base game. These include those fire-breathing dragons which we mentioned before, and they do spring into life on a regular basis to increase your winnings. There are no wild symbols in this game either, so the principal feature to look out for is the golden dragon coins. These revolve to reveal a random symbol on the other side, hopefully one which matches up with the symbols already displayed upon the reels. If you are really lucky then the Mega dragon coin will make an appearance on the reels. This is a 3×3 sized coin which means that wins are guaranteed. The only question is how large those wins will be. And of course, you are always hoping to find lots of those 138 coins as these are the highest in value and the ones which can potentially unlock that jackpot prize. Dragon’s Luck is a medium variance game with a pretty average return to player of 96.29%. This 2017 release from Red Tiger Gaming is not going to set the world alight, as it is just too similar to a number of other games out there. For example, the mechanics are virtually identical to the Lucky Little Devil game reviewed elsewhere on these pages. There are some nice little bonus features, but nothing the Casino Gorilla hasn’t seen before. The fact that there is no bonus or free spin round is a definite disappointment. Slot gamers love their bonus games, and the mega-coin extra feature doesn’t quite compensate for the absence of a free spin game here. Overall, a pretty boring game. Doesn’t have a unique theme and there are just 10 paylines. It also costs too much to play and the jackpot is never very high, so there is not much appeal here. A truly gorgeous and stunning game. I loved the Chinese theme, almost made me feel like I was in the country itself. The features and bonuses are triggered very frequently too. One major omission from this game is that there are no free spins. What a bummer!